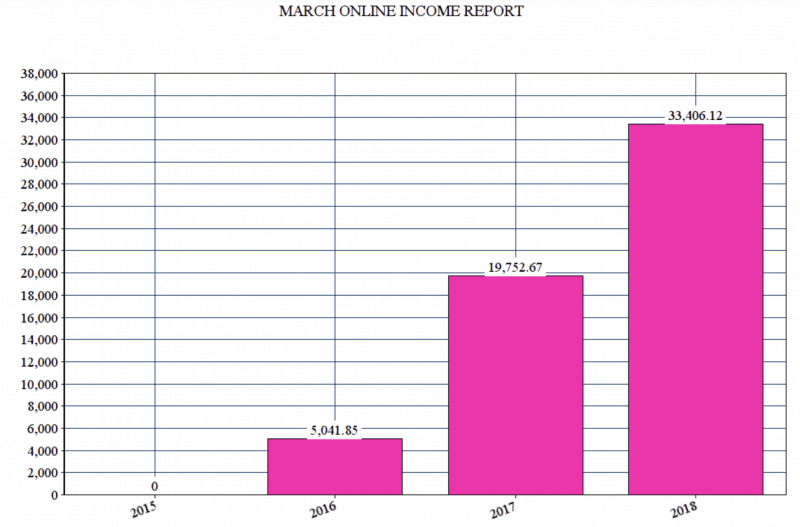 Here is my March online income report. 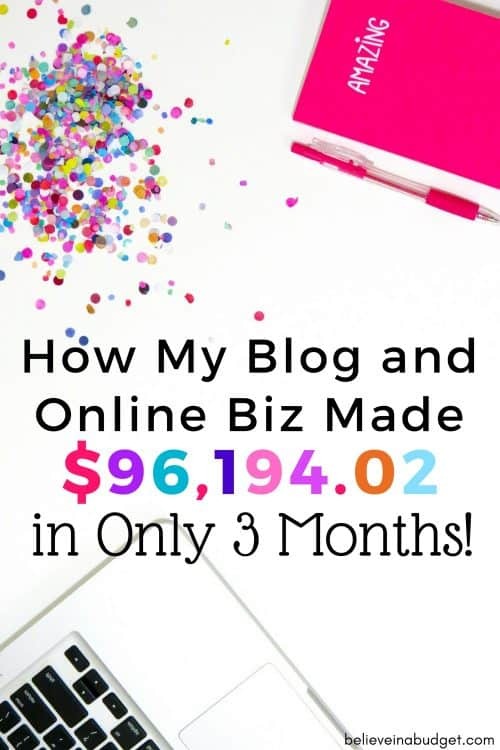 I am sharing how I make money online from my blog and business.It's also the end of quarter one, which consists of the months January, February and March. This online income report will be a little different than my last two income reports. 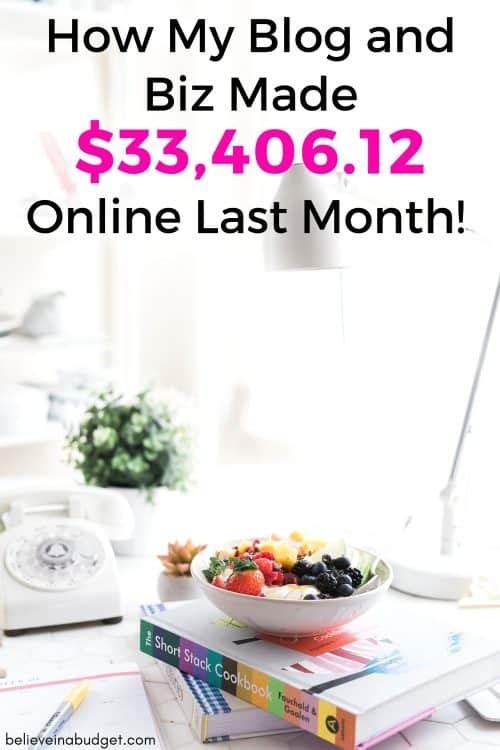 In addition to sharing March's results, I'm also going to include how my blog and online business performed in the first quarter. By sharing my first quarter results, called Q1, I can use 2018's data and compare it to 2015 – 2018. I sound super techy, right?! March was one of those months that flew by and at the same time, feels like it was forever ago. In the first part of the month, I was on vacation and off-line. We also went away towards the end of the month for a weekend as well. When I was reviewing my to-do list from March and all my notes in my planner (I've been using this planner company for years and love it), I realized it was a big month of work mixed in with a lot of real life things going on. We all can relate to that, right? Last month felt like it was meeting after meeting. It was countless doctor appointments, vet appointments and working with my accountant to finalize my taxes (mission accomplished!). I've also been working on my Florida house long distance (I bought my first house when I was 23!) as I plan to sell it this year. Having a rental out of state can be tricky and I'm ready to sell it. I also worked on setting up my new LLC company for my secret side-hustle project I've been working on since December. It has nothing to do with this site or PinterestVA; it's totally different and nothing I've ever done before. I'll be sharing more about this secret side-hustle project in the near future. As of now, it's been a huge learning process and I'm really hoping it will be profitable! Either way, I'll be sharing my journey here on Believe In A Budget so you guys can learn more about it and decide if it's a side hustle you want to try. And no, it's not MLM or anything like that! In March, I continued to stick to my 99% work-life balance rule of working Monday to Friday, with no laptop on the weekends. I'm not going to lie – it's hard not to work on the weekend. I enjoy blogging and love my online business, but I know overall it's healthier for me to step away from work for a couple of days and enjoy time away from the computer. The only difference right now is that I have been bringing out the laptop in the evenings to work on my secret side-hustle as that's the only time of the day I can accomplish some of the work. Needless to say, I'm definitely in work mode at the moment. There are some time periods where I might work 20 hours per week and things are easier. Right now, that is not the case. I would say I'm working a solid 40-50 hours per week trying to work on three businesses. All of this is my choosing, so any long days and thoughts of anxiety and stress are all self-induced. Basically, whatever brought in the least amount of income was on the bottom of the totem pole. Now, that doesn't mean blogging or my secret side-hustle project were/are neglected. It just means they came in last place. Gotta make a living and pay the bills first, right? When I first started blogging, I was putting in a ton of time and investment to the point I started using all my free time to blog. Blogging became my main focus in my spare time because I wanted to be a full time blogger so bad! I would wake up two hours before it was time to go to my day job and then stay up late at night trying to learn as much as possible. For almost the first year of blogging, I was tired! But all that hard work paid off. I was able to quit my day job and become a full time blogger and live my version of the dream life. If you are currently feeling overwhelmed or wondering how you can do it all…you can! Be patient, prioritize and things will work in your favor. In the grand scheme of things, being able to start a blog with no experience and quit my day job within a year is a pretty big accomplishment. By no means do you have to have the same goal as me to be successful! Maybe you want to blog in your spare time because you want to be a SAHM parent or love your day job. 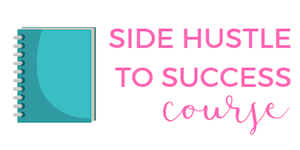 Whatever your blogging goal is, I totally support you and hope my blogging story helps you! My first income report is still incredibly relevant! If you are a new blogger, you can read my first income report to learn how I can make money online. I have now been publishing income reports for almost three years. Time is flying by and I still think it's crazy that I am doing this! It took me about four months to earn any income from my blog. That was the hardest four months ever because I was so new to blogging and wasn't sure what I was doing. Earning that first paycheck was the best feeling ever and confirmed that my hard work was starting to slowly pay off! Going back through all of my online income reports to see what worked, what stressed me out and what big decisions I was making at the time has been HUGE for me. What's really amazing about watching my increase over the past few years is that I would not have have been able to do this at my day job. Don't get me wrong – I loved my line of work and had a great job. Unfortunately, I was also at the point where I had pretty much peaked in regards to my position and salary, and I was still pretty young. One of the best perks of blogging and having an online business that I run and operate, is that I control my income. Can you imagine where you could be in 1 year, 2 years or 3 years from now? I had NO IDEA what to expect from blogging and my online biz, so looking at the chart above makes me feel really good. • Drip – this is my email provider! *I've also used ConvertKit and love it. Finally, this doesn't include things like health insurance or taxes. I was putting 30% aside each month, but now I'm adjusted that to between 30-35% moving forward to account for buffering my business savings account. I also have to plan for things like savings, retirement, my HSA account, etc. 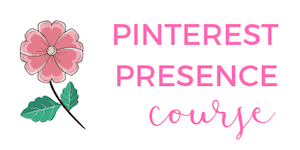 To date, I've helped over 100 clients with their growing their Pinterest accounts! • Grab this FREE guide below on how your blog or business can grow and make money using Pinterest. I haven't done a quarter update in a long, long time! In my first year or so of blogging, I would do an entire blog post that reviewed the previous quarter, my accomplishments and my upcoming goals. I thought it would be fun to dig through some of my older content and do some comparisons! This is the first time I've ever written out my quarterly comparison and I'll be honest – I still think this is all insane when it comes to income earned, ha! I still get the same excitement about blogging now as I did when I first started. It feels unreal to know that I have a 100% say in the above numbers and this is because of me (and of course, also from my course partner Gina from PinterestVA! on our joint venture company). – I increased my sources of revenue for the side hustle/budget part of Believe In A Budget. The more income I have coming in, the more money I can potentially make. For example, in 2016 I probably only recommended a few products I tried. In 2017, as I started trying new things and getting positive results (like Ibotta and Digit), I shared it with you guys. All courses are totally different and have been helpful for my blog. I'm really picky about courses and it takes me a long time to make a decision, weigh the pros and cons, the time commitment and what I want the end-results and goals to be, so I feel confident talking about the ones mentioned above. – Next, I started offering my own products. This was based on your feedback, the skills I could share with you that you wanted, etc. This has been an enormous undertaking (creating courses and products is super time consuming and hard!) 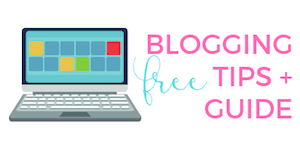 but knowing I have a small and solid list of workbooks and courses to help you with your blogging, side hustling and Pinterest needs has really helped me grow and solidify my expertise. I think it's helpful for me to actually go back and look up all this information. If you are on my email list, you'll know that I'm much more personal in my emails about my struggles with sharing my income reports, how I am not good at telling myself ‘good job' or acknowledging any accomplishments. Usually if I hit a goal, I cross it off my to-do list and just get to work on the next thing. Part of that reason has been because I tend to focus on what I didn't accomplish or get done, which needs to stop. I really need to have some mini-celebrations, which could mean buying a new book, going for a pedi or doing something I wouldn't normally do. For the past couple of years, in December, I have a #treatyoself tradition (any Park and Recreation fans out there?!). This was my way of rewarding myself for having a good year. It was the only time I really let myself celebrate! In 2016, I told myself that if I could make it my first full year of blogging, I would treat myself to a new purse and wallet. It was the best purchase of my life! I'm not that into shopping, so this was a really expensive purchase (for me) and so worth it! Every time I use my purse I think about how much hard work it took to earn that bag! In 2017, I told myself if I had a better year than 2016, I would go see a concert that was on my bucket list. I had a good year, so we splurged for amazing seats and it was awesome! I am so glad I got to see this artist and it was really fun. Every time I hear this artist on the radio, I think about how fortunate I was to to able to get to see him in concert! Also, it's not really about the spending and dollar amount. Both of the above were definitely major rewards for myself. I have a hard time justifying spending money like that, so these were both big decisions and rewards! This year, I don't have any end-of-the-year goals yet. I'm sure I'll think of something! I hope you enjoyed reading this online income report! Do you like reading about quarterly results? Congratulations! You are amazing and I really admire what you have accomplished with your blog. It’s a life changing amount of money! I really enjoy reading your income reports because it makes me know that it’s possible to have a successful blog. I just launched mine 2 days ago and I’ve been scouring the internet to read everything possible to learn how to be more successful. Thank you!! It really has been life changing, so much has happened the past 3 years it’s crazy! It’s definitely hard work, but there are so many benefits 🙂 Good luck with your blog! You go girl! From $60 to $33K. Well done! Whenever I see your income reports, it fills me with energy to work even harder. >w< Keep it up!! !